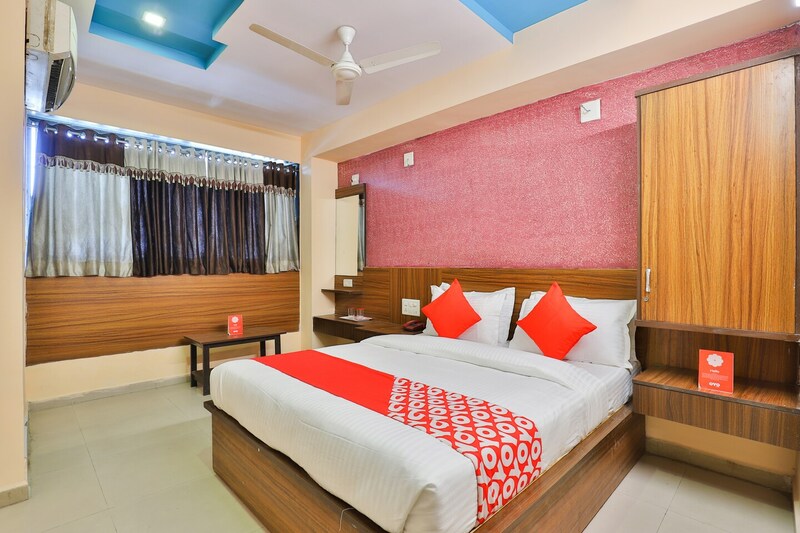 Situated near Ahmedabad Junction Railway Station is Hotel Anjani Palace in Ahmedabad which caters to all your needs and provides you with a delightful stay. The rooms are furnished with essential amenities that will surely make your stay as comfortable as possible. These luminous and immaculate rooms are beautiful and charming with bright textured walls, bright cushions, dual coloured curtains, and wood work. The bathrooms are neat and clean and well-equipped including a geyser for winters.Guests have access to parking facility for their convenience and they are also provided with free Wi-Fi connectivity to browse high-speed internet whenever they want. The tourist attractions in the vicinity to the hotel are Kamla Nehru Zoo, Sabarmati Riverfront and Ramleela Ground.